I'm sure many of you have probably HEARD about this burger. But, HEARING about it doesn't do it any justice. This is ABSOLUTELY the BEST burger you will EVER have in your ENTIRE LIFE!!! 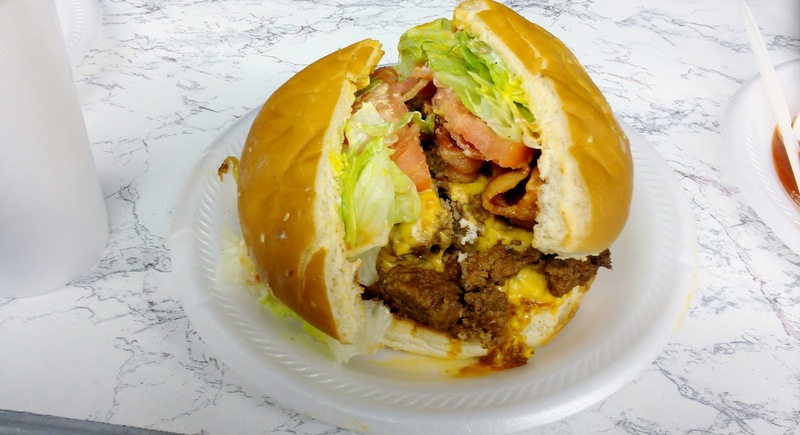 Miss Ann's world-famous Ghetto Burger has been covered in various national outlets like USA Today, Wall Street Journal, and the New York Times. 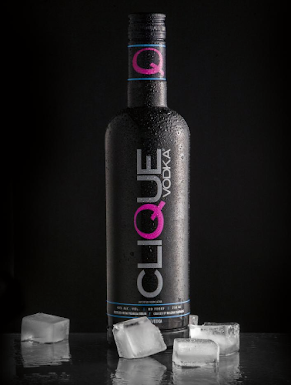 It's even been featured on Food Network and Travel Channel. But, we don't have to hear or read about it. This one-of-a-kind creation is right in our own backyard. 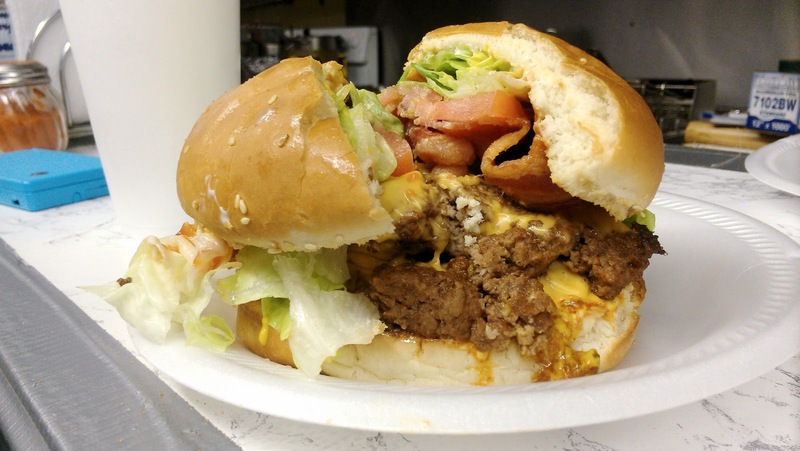 Nestled right in the Kirkwood neighborhood, within spitting distance of Club Esso near the intersection of Maynard Terrace and Memorial Dr, sits a small, old lady in a small, old shack, serving a big, bad burger. This burger is definitely not for you calorie counters. It's a HUGE double bacon chili cheeseburger made by hand and grilled so perfectly and seasoned so well that you'll want to take a bite and save the rest just to stare at it later. It's served on a standard sized paper plate that you may not even notice because the burger is covering the entire surface. It's 5 or 6 inches tall, pretty messy, and extremely tasty!!! Just to give you some kind of real idea of what kind of meal this is - I had to split the burger with my 2 daughters. Along with fries and a soda, I ate HALF and my 9 year old and 6 year old divided the other half. We ate this burger around 5:30pm and were full for the rest of the evening. And, to provide a little further context, my 6 year old complained the entire time (rather loudly and childishly rude) about how old the place looked and how long the burger took to make. But, when the food came, she LOVED it!!! She talked all the way home about how good it was and how big her 1/4 of a burger was. Yes, everything you've heard about this place is true. Yes, the wait time for the food can definitely be lengthy. Yes, Miss Ann can be rude and dismissive at times. Yes, the place is small, old, and obviously weathered from the 30+ years of being open and never really renovated. But, ABSOLUTELY YES, the burger is the business!!! So, this weekend, set aside an hour or two and stop thru and grab a Ghetto Burger. 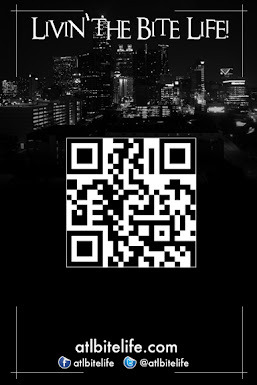 Don't tell Miss Ann that ATL Bite Life sent you. She might curse you out. Lol. She's done it before. Check out the video below of my homey, super stylist, Renaldo Nehemiah during his last trip to Ann's Snack Bar. He took Ludacris with him and fun was had by all. Great read! Going to get a Ghetto Burger is definitely like AN EVENT! Like going to Six Flags or something! Shout out to ME for being the 1stother one to click the "LOVE IT" button! Keep up the good work!!! T. John. Thank you!!! 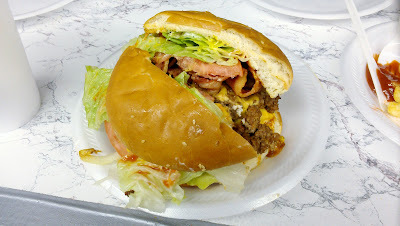 Every time I pass these pictures I took of this burger, I get extremely hungry!!! It's so INCREDIBLY good that it's not even fair. Smh.